Password * Password is required. It must be between 6 and 16 characters. We strongly recommend you select a long password which include numbers and Capital letters. Comments This field is optional. If you have any suggestions on our pre-registration module or have additional questions please feel free to enter them in the comment field. Username * Required field. Please enter the complete company name, including legal type such as Ltd., Inc., SARL, GMBH, etc. Maximum 100 characters allowed. Company name Optional information. Please enter the complete company name, including legal type such as Ltd., Inc., SARL, GMBH, etc. Maximum 100 characters allowed. VAT number Optional information. However, if your company is based within the European Union you will be required to provide the VAT number, or alternatively be charged 25% VAT. The field can be left empty for now, but completing it will speed up order processing. Maximum 20 characters allowed. Organisation number Optional information. The company organisation number is often helpful or even required in connection with country specific domain registrations. Maximum 20 characters allowed. First name * Required field. Please enter first name. Maximum 50 characters allowed. Last name * Required field. Please enter last name. Maximum 100 characters allowed. State Optional information. Maximum 30 characters allowed. Currency * Required field. Please select your currency. FAX Optional information. Only numbers/digits are allowed. Comments Optional information. Please enter your message to our support department. I have read, understood and accept Web Solutions Terms & Conditions. Web Solutions will not sell or share your account data, including email address, with any third parties. The .CLUB domain names are available for registration. You can now search and order your desired .CLUB domains through our on-line order system. Please click the button below to see the regulations and prices for the .CLUB names. The .CLUB Top Level Domain will provide a unique online presence for all businesses, organisations, individuals, groups or other entities that engage in membership-based, collective, entertaining or other activities. .CLUB is a new generic Top-Level Domain (People & Lifestyle gTLD) announced by ICANN, the Internet domain authority. The New gTLD Program`s goal is to enhance competition, innovation, and consumer choice. You can see it as your opportunity to get that perfect domain which has been taken by someone else. The introduction of .CLUB domain extension is divided into three phases: Pre-registration, Sunrise and Landrush. After Landrush period, the .CLUB domain will become public and registrations will be available to everyone (General availability). A free and non-binding way to get a head start securing the new domain name. Indication of an interest in a given domain and eventually registering name(s) in .CLUB when registration becomes available. Time at the launch of the .CLUB domain before public domain registration for the .CLUB begins, allowing brand/trademark owners to register, or block related domain names. See our Managed TMCH Submission service. The initial launch phase for broad general distribution when anyone (usually companies) can submit a request for a domain name under the .CLUB. Landrush registrations are typically NOT first-come, first-served. Duplicate requests are auctioned between the parties desiring an identical name. Finally, domain names under the .CLUB will be available to the general public, at normal retail prices on a first-come, first-served basis. Applicants may attempt to register previously pre-registered domains within .CLUB. When a domain is registered, it is officially reserved and registered in real time. If you are not a brand owner, before General availability you are allowed to take part only in the first phase and pre-register your desired domain names within .CLUB. The use of our gTLD pre-registration module is free of charge and without any obligation to buy later on. We will keep you updated on future developments related to your preregistered domains, including information about pricing and regulations, once these have been announced by the registry responsible for a given gTLD. Please note that pre-registration of .CLUB is not a queue. Although we will try our best, we cannot provide any kind of guarantee that pre-registration will eventually lead to successful registration of your chosen domain within the .CLUB extension. If you wish to secure your rights to a specific domain name, please choose our Managed TMCH Submission service which offers trademark owners a simple yet efficient way to monitor and protect their brands. It is also the only way by which trademark owners can participate in designated Sunrise periods. For non-trademark holders Pre-registration of .CLUB will be available until General availability. The .CLUB extension will serve as the perfect name-place for any club. Both entertainment venues and membership organizations including book readers, sports enthusiasts, local communities, charitable and fraternal organizations, political activists and other entities should find this new generic extension an ideal tool to enhance their online presence. .CLUB should be appealing to any entities calling themselves clubs – public, private, commercial or elite. VIPs, special interests, entertainment, exclusivity – any of those concepts can be embraced by the .CLUB name-place. With names such as COUNTRY.CLUB, BESTBEER.CLUB or .COMMUNITYFOOTBALL.CLUB you can enhance your online presence and distinguish your virtual identity. So, join the .CLUB and pre-register that unique domain name that will set your .CLUB apart from thousands of others. A gTLD (generic Top Level Domain) is the set of characters following the dot at the end of a website address. Hundreds of new domain extensions (new gTLDs), such as .SPORT, .ART, or .WEB, are being introduced to the Internet as an alternative to web addresses where .COM or .NET would normally be. Why should I register .CLUB domain name? You are free to choose from hundreds of domain extensions tailored to your website's needs to give it a unique virtual identity. Furthermore, with .CLUB extension your website is likely to turn up in more searches and generate more online traffic. When will .CLUB be available? Why should I pre-register .CLUB now? We will keep you updated on any developments related to your pre-registered .CLUB domain, including information about pricing and regulations, once these have been announced by the registry responsible for .CLUB. Does it cost anything to pre-register .CLUB? The use of our gTLD pre-registration module is free of charge and without any obligation to a future purchase. Please note that pre-registration of .CLUB is not a queue. Although we will try our best, we cannot provide any kind of guarantee that pre-registration will actually lead to the successful registration of your chosen domain within .CLUB. Are there any limitations on .CLUB pre-registrations? No, with Web Solutions you are free to pre-register as many [new gTLDs] as you wish free of charge. However, although we will try our best, we cannot provide any kind of guarantee that pre-registration will lead to the successful registration of your chosen domain within .CLUB. Are trademarks usable in .CLUB domain registration? 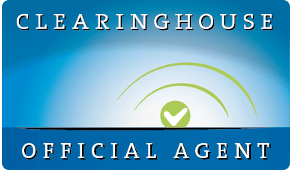 If you are a brand owner, it is important that you register your trademark(s) with the Trademark Clearinghouse (TMCH) prior to the release of .CLUB. Brands are protected by the TMCH in two ways: with a Sunrise Service and a Trademark Claims Service. Web Solutions further offer a Managed TMCH Submissions service. Click here to read more. Am I obligated to register a .CLUB I pre-registered? Pre-registration of .CLUB names with Web Solutions is free of charge and with no obligation to buy the domain name later on. By expressing your interest in a .CLUB name and pre-registering it, you can be assured of our assistance in keeping you up to date on any developments regarding .CLUB. Why would I want to pre-register .CLUB with Web Solutions? Founded in 1998, Web Solutions is an established domain registrar and an accredited agent of the Trademark Clearinghouse with a solid track record and a large number of satisfied customers. Should you need more information regarding the pre-registration process, please do not hesitate to contact our Support Team at support@web-solutions.eu or by calling on +44 (0) 208 133 3994. Can anyone register a .CLUB domain name? The registration requirements may differ for each new extension depending on the category they belong to and the registry offering them. How do I host my .CLUB domain name? Web Solutions' services include hosting and email service for .CLUB. To order hosting, email service and SSL certificates, click here or contact our Support Team at support@web-solutions.eu or via phone on +44 (0) 208 133 3994. Do I have to configure my DNS? All the .CLUB domain names may be hosted on your own name servers. If you specify no name servers, we will provide DNS for your .CLUB domains free of charge. Pursuing your .LIFESTYLE to the fullest should soon be easier with the coming of new exciting Internet domains such as .CLUB, .SPORTS or .TRAVEL. High quality content revolving around .COMMUNITY, .DESIGN, .ENTERTAINMENT, .FOOD, .SELF HELP, or numerous other topics and activities will be a focal element of all websites related to lifestyle. Businesses, customers, organisations and enthusiasts will all be able to identify a niche area that best describes their preferences or speciality. With new Internet domains, visitors should be able to easily find information or programming relevant to their lifestyle, for example .SHOPPING, .KIDS, .MOTORCYCLES or .DATING. With geographic barriers becoming blurred online, the mutual spirit of belonging to a community should be easier to build. Shared goals and common interests are what makes people to get together. What would be a more convenient way to find like-minded people than via the social media networks, .CENTER(s), or .ZONE(s) devoted to connecting people online? New domains such as .FAMILY, .DEMOCRAT, .GARDEN, .PET, .GAY or .LATINO should help in defining where you belong in the virtual world. To pursue your vision or to connect to other people living similar lifestyle, consider pre-registering the domain name that best suits your preferences. It is free and non-binding with Web Solutions, and you will be notified of any developments relevant to the domain of your choice.